In the course of writing for commercials (which I’ve been doing a lot of recently), I get stretched to write in a lot of different styles that aren’t necessarily native to me. Last week I was asked to write a dubstep electronica cue. Dubstep is a genre of electronic dance music which incorporates a lot of breakbeat and rhythmic elements not only in its drum programming but also in its synth programming. Skrillex is one of dubstep’s foremost practitioners. 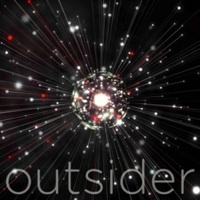 Here’s the short dubstep track I wrote, titled Outsider. While it doesn’t have traditional verse-chorus song structure, I put a lot of emphasis on random variety as well as creating a few contrasting sections (e.g. drums only and breakdown sections), which are useful for when a piece like this is used in a commercial and, once synced to video, the editor may prefer one section of music over another. In the course of a minute-and-a-half piece, I’m writing to give the editor enough variety to find at least 30 seconds of unique content to choose from.